Bruce Bay coastline looking towards the Makawhio (Jacobs) River mouth and Makawhio Point and Jacobs Bluff. Coastal forest of Rimu trees. 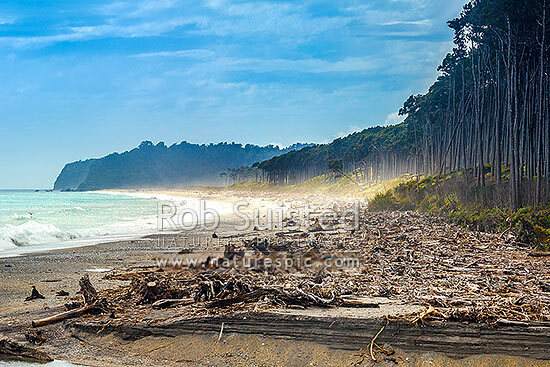 South Westland, Bruce Bay, Westland District, West Coast Region, New Zealand (NZ), stock photo.